If they build it, they will bomb. Angry Sheepshead Bay residents came out in a show of force on Sunday to protest a planned mosque and Muslim community center in their neighborhood. “If they build a mosque there, I’m going to bomb the mosque,” said one outraged resident who lives across the street from the proposed house of worship between East 28th and East 29th streets on Voorhies Avenue. The resident, who refused to give his name, identified himself as a former Israeli soldier who had lived on Voorhies Avenue for eight years. Such comments were certainly the most violent, though intolerance was common at the rally, which was organized by the group Bay People. Political correctness was shoved aside as members of the group put out its agenda: We don’t want a mosque here. There was plenty of lip service paid to concerns about added traffic and noise, with rally organizers saying that they were not “anti-Arab or anti-Muslim,” but the stench of hate filled the air, sometimes with subtle language. 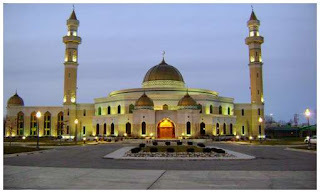 But other organizers claimed that the mosque’s builders, the Muslim American Society has ties to Hamas and Hezbollah. Though few actual links were revealed at the rally, that didn’t stop the venom. He also took pot shots at Ahmed Allowey, the longtime Sheepshead Bay resident who is bringing the mosque to Voorhies Avenue, along with local politicians who have remained mum on this divisive issue. None were present to defend themselves, although Benari’s diatribe infuriated local resident Guseyn Ibragimov. Rally attendees booed Ibragimov down, ordering him to get off their street.